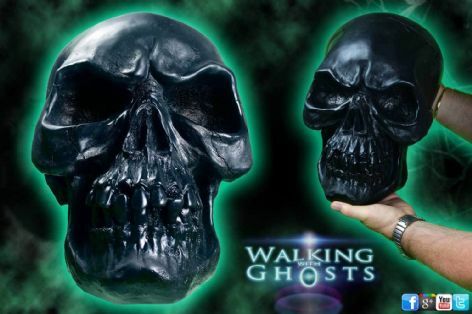 This stunning skull sculpture comes in the form of an oversized demonic/Vampire style in a hand-painted sinister black finish. It has the growling dangerous expression with jagged teeth giving him the true devil-like image of nightmares.The sculpture is created by world-renowned Nemesis Now art studios and is made from cold cast resin and is hand painted to highlight its intricate dark detail. As well as being a dramatically macabre sculpture it is also a giant money box with a slot on the backside and an opening port on the bottom. This bank will hold a massive amount of money, so ideal for long-term savers too.